Hello, My Name is Cheese! Wild Thing is a pure expression of our backyard raw milk and microbes. We use both mesophilic and thermophilic cultures made from the microbes that live on udders and in the grasses of our pastures. It takes 7 gallons of mixed goat and cow milk to make one 8 pound square stone that ages well for 4 to 6 months. Her rind is natural and her paste is semi-hard, with a creamy texture. Her flavors are milky, straightforward, clean, and pure, gaining complexity as she ages. Wild Thing is part of a cheesemaking revolution. Find out about the revolution here! Unison brings together all the possibilities into one big, beautiful 10 pound wheel of cheesy harmony. 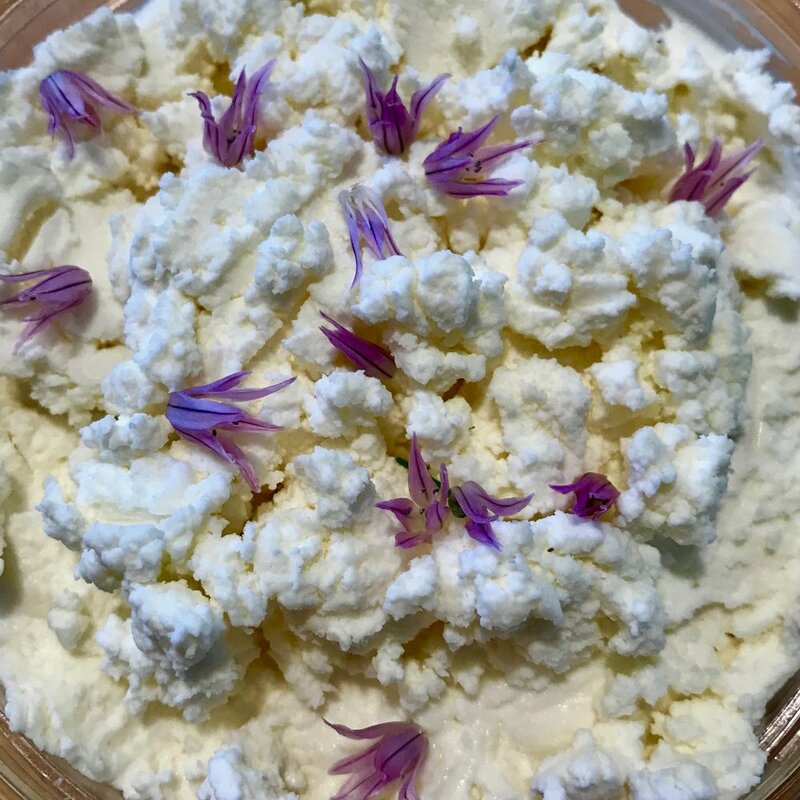 She's ripened with a combination of our native cultures and a smidgen of commercial culture, we vary her proportion of cow and goat milk depending on the season, and often add hard spices such as black pepper, caraway or anise to take her flavors on an exciting rift. Her paste ranges from white to a buttery yellow, depending on her milk proportions. We wash her curd to add a creamy texture and press her with minimal weight to keep her paste open and soft. Unison is always a little different, but she is always true to herself. Bootleg Blue is 5 pounds of dramatic lusciousness! All Jersey milk, her paste is golden yellow, creamy, and fat-forward. Enrobed and internally-laced with blue molds, she ages so quickly--in just 5 weeks--we have to keep her at a cool temp to slow down her trip to perfection. Bootleg is blue, but still mellow and fudgy. Blue skeptics and kids alike love her, what an endorsement! Dirty Harriet is all gooey, all gorgeous and all goat! A raw milk lactic cheese, she ripens over a 4 to 8 week period. You can see ripening progress in the 4 week cheese pictured to the right. 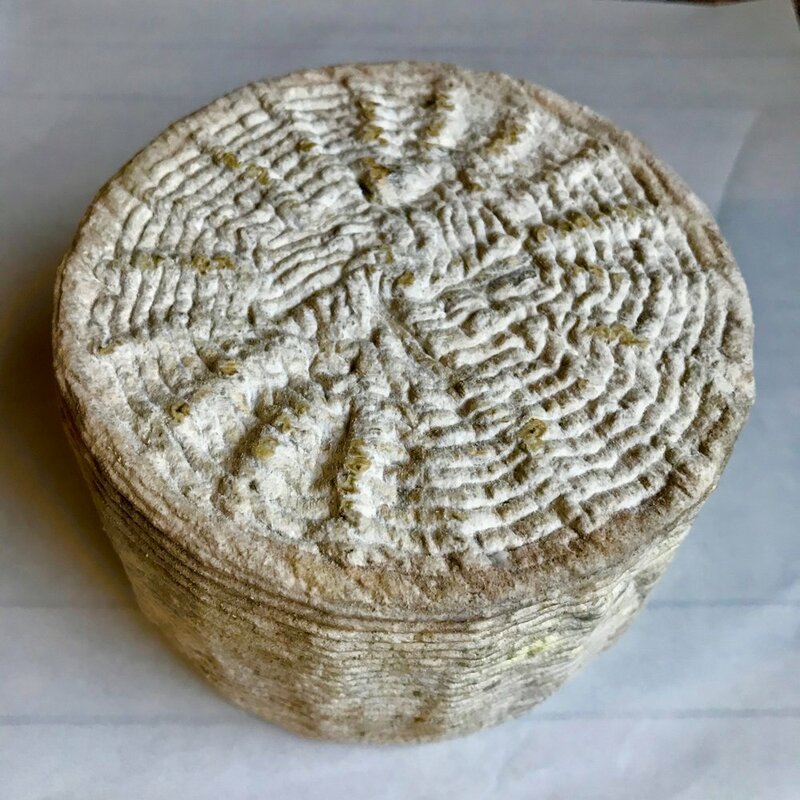 No prissy white rind for this gal, we let her rind go wild to show off a full expression of the microbes in our milk and a few added blue molds. Feeling lucky today? If so, take her home and make my day! Cumulus is our version of chèvre. Our milk is sweet and high in fat, so this fresh cheese is fudgy, a little crumbly, and mildly tangy. Spread it on toast, sprinkle in salad, top a pizza, or eat it with peaches…your choice! Silver Lining an elegant goat log with a mlld, slightly piquant, milky character, and a ganache-like paste. She is an aged, lactic, raw goat milk log with an ashed rind. Silver Lining ages well for 4-7 weeks, and sometimes longer to achieve a dry or “sec” cheese. She is luscious anytime in her ripening process, as she becomes creamy with age. She's a classic! Wicker's name takes after her appearance. She's a "basket cheese", meaning her curds are gently drained in a basket-like form that was historically woven from wicker. The open weave of the form leaves an impression in her rind. Basket cheeses are primitive, simple cheeses with big flavors. Wicker, like Wild Thing, is made with only our native cultures. Her rind is populated with volunteer white microbes that give her an ancient demeanor befitting her heritage.